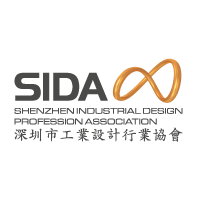 Shenzhen Industrial Design Profession Association (SIDA) is a non¬profit organization founded in 2008, the first Chinese association joining World Design Organization (WDO). Till March 2018, SIDA has taken in 851 member units from Shenzhen and across the country, and has built Shenzhen Institute for Innovation Design, Sino¬-Finnish Design Park, Shenzhen Open Innovation Lab (SZOIL), Hebei Industrial Design Innovation Center (HIDC), industrial internet design platform and first industrial design IPR station in China. In the past ten years, we have established strategic cooperation with design organizations over 30 nations and regions. Additionally, we have become official partner of iF, Red Dot, IDEA and GMARK in China. We aim to be an innovation integrator for full industry chain under the concepts of Cloud¬ Platform, Globalization and Branding. As the first Chinese organization to support maker group, we began to connect industrial design and makers in 2012, innovating a new progressive development model. To make Chinese design visible to the world, we brought Shenzhen design to 100% Design London, and Shenzhen Pavilion was escalated to China Pavilion from 2014. As the largest industrial design in Asia, Shenzhen International Industrial Design Fair (SZIDF)(www.szidf.com) has been held for 5 years in a row.